NEW IMAGE PROMOTIONS: Aidonia Promises a Short Film to Showcase New Rhythm Tracks and Artistes Under J.O.P. Aidonia Promises a Short Film to Showcase New Rhythm Tracks and Artistes Under J.O.P. As the popularity of the Dancehall brand extend across the world, local artistes seek to re-invent themselves or enhance their craft. One such is Aidonia who promises to launch a 40 minutes short film aimed at capturing special moments of himself, members of his JOP camp among other top tier acts. According to a release, Aidonia decided to make a short film as oppose to a 'mere video' to present new project the, 'Open Sky' rhythm compilation. 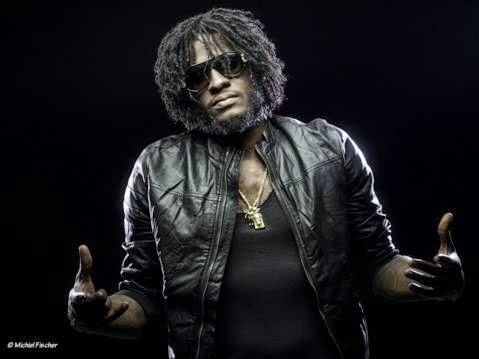 Widely respected as one of Dancehall's finest, the JOP boss who is rapidly gaining weight said, "JOP has always been about difference and setting trends, from the way we pen lyrics to even the delivery. So we decided to present the Open Sky rhythm in a different format from the cliche music video...fans can look out this project is definitely going to be something to talk about."